Our new patterned papers for all color families! Love that we're getting gingham in all colors! This photo doesn't do these papers justice! They are gorgeous and showy. Come Sail Away Suite; full of nautical products perfect for scrapbooking or masculine projects. The 'Everything is Rosy' product medley; coming to everyone on May 1st!!! Our newest In Colors; the 2019-21 In Colors! This isn't the best photo but they're similar in real life. I will get my actual product next week! And now for some photos of the Million Dollars Achievement on the stage. Stampin' Up! makes a big deal of this and I want to thank each and every one of you who has supported me through the last 13 years. It was so special to be able to be with my friends Dena Rekow and Susie Wood. They are both from Iowa and we hang out together at Stampin' Up! events. This was so much fun! Even though we knew the confetti was coming the big boom scared us and we all jumped! You cannot see the crowd that cheered for us, but it was so incredibly special to have so many of our Demonstrator friends and team members support us. There are just a handful of Demonstrators that have earned this achievement so far. Susie is #30, Dena is #31 and I am #32! In fact Susie and I have become great friends and tend to talk everyday stamping together via phone texts. Her husband Deke and my Andy are friends too and we always hang out together on our annual incentive trips. I am so blessed to have so many amazing customers and team members that I get to stamp and share with. We had a fabulous time in Minneapolis at the OnStage Stampin' Up! event. 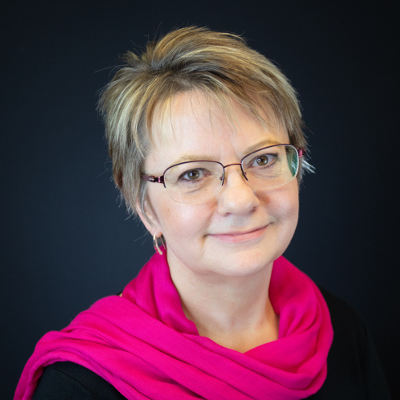 I was able to connect and spend time with so many of my Stampin' friends there. Twelve of my Flowerbug's Team from Kansas, Minnesota and North Dakota attended the event with me. We had soooo much fun! My fun and crazy Flowerbug's Team (We're missing Brandy in this photo)! We spent a LOT of time browsing through the new catalog! It's incredible and full of awesome new products you're going to fall in love with! Here are a few of our Make & Take's we made using all new stamps! We all fell in love with this lovely set of products! Oh; wait until you see all of this suite of products! New Vellum, DSP, twine, punch and flower centers! A new crafty, artsy stamp set! I'll share more about the event this week! ****The Retired List comes out tomorrow! Stop back in! Last chance to get the Distinktive stamps in April's Paper Pumpkin kit!! Wednesday, April 10th is the last day to get the April Paper Pumpkin kit! It includes Stampin' Up! 's new Distinktive stamps! I am so in love with this type of stamp! I cannot wait to see it! To me it looks like it's going to be florals; maybe roses?? And we know it's cards with a box this month!!!! You have a few choices to get this kit. Try one month by purchasing one kit here. 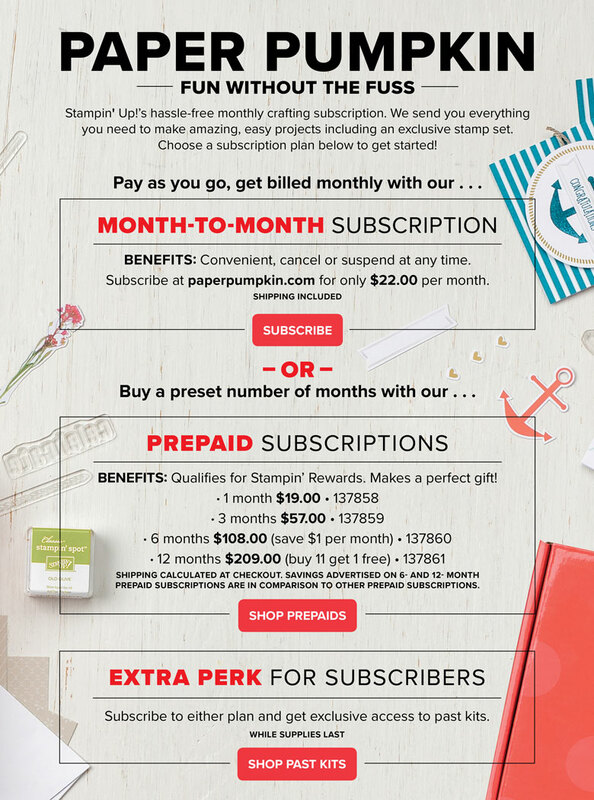 Subscribe to ongoing kits and receive one each month until you decide to stop. There are so many benefits to subscribing to Paper Pumpkin kits! A crafty kit ready to go; no thinking or planning needed! It's all there! Get a stamp set and ink spot in each kit! Ability to purchase past kits if desired. Get exclusive bonus projects for each month's kit from me!! ***Purchase a 3 month subscription; add on a few small things and get my FREE Fun Fold Cards kit below! 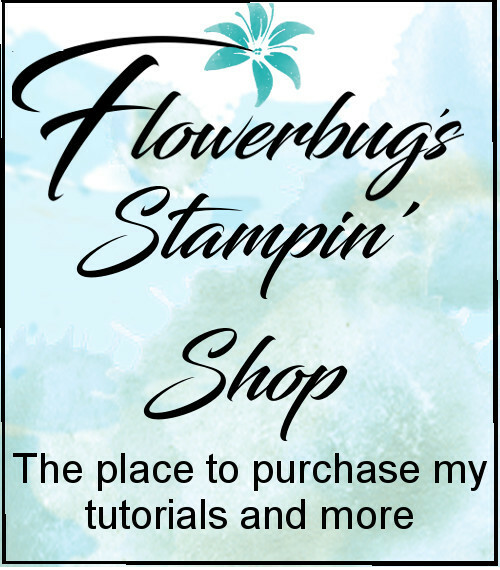 New Exciting Stampin' Up! Storage System; we can order today! Today, April 1st, we can order from the brand new Stampin' Storage items! I am so excited about this! I knew they were working on something and have been waiting somewhat impatiently for it. I think it will be fantastic and super versatile fitting in any space we need! Ensures that your Stampin' Pads, Stampin' Write Markers, and Stampin' Blends are all stored horizontally, as recommended. The ink pad trays fit the new style of ink pads; not the old style. I've been waiting for this and cannot wait to get it for myself. Here is the Stampin' Storage list of items. You can order it on April 1st too! Go here to order. A Fabulous Wonderful Romance card from Stampin' Up! Yesterday I received the most beautiful flowers and card from Stampin' Up! for my Million Dollars in career sales. Yes; if you haven't heard yet it's official!!!!!! Thank you for being a part of this wonderful journey with me! I love everything about this stamping hobby/passion I'm so lucky to be a part of. Look what they sent me! Above is a photo of the bouquet and the hand made envelope. This is a close up of the pretty envelope; it fits a 6 X 6" card inside and features the Wonderful Romance suite of products. They're on page 11 of the Occasions catalog. Here's the card and the envelope. Above is the inside of the first pages of this amazing card. Here's another photo of the card and below is a close up so you can see all of the many, many details. Isn't this just incredible? They couldn't have made it more special. Stampin' Up! is the best! Thanks for stopping in today! You can see these products here in my online store. Exciting news; I'm soooo close! MILLION DOLLARS in career sales! 14 years ago when I started this journey with Stampin' Up! I didn't even have a goal. I just wanted to stamp with my crafty friends. If you know me at all, you know that when I'm passionate about something I go all out! 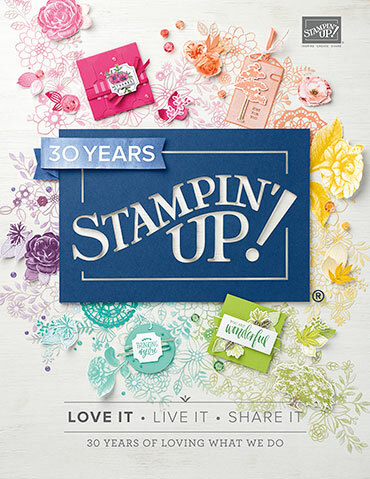 These last 14 years with Stampin' Up! has enriched my life in numerous ways. I am so grateful to have my DREAM JOB! I was at a Stampin' Up! Leadership event in Michigan this weekend. Here's what happened when my fellow demonstrators found out how close I am to this achievement! I thought you'd all like to know and possibly be a part of this accomplishment. Please use this hostess code and I'll send a gift in your thank you card for all orders until I hit this goal. Stampin' Up! is watching my sales closely! I'll let you all know as soon as it happens.